Made to complement our Burning The House Down winamp skin. Windowblinds skin to be released soon. Hey this is great! Thank you very much! It's smooth and its bright and livley, yet easy to work with. 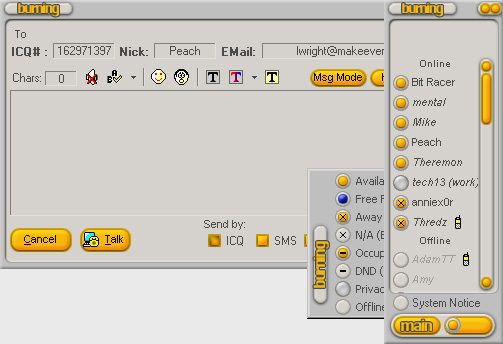 Its so rare to find great skins like this for ICQ nowadays. Thank you for this - I hope its the first of many. Looking forward to the WB skin! Too much gray for my tastes, but well done.